After nearly two decades of sailing with client teams in corporate regattas, we have seen many lives transformed after our clients' staff or guests are introduced to sailing. Of course you could take your team or guests to play golf, fall off a quad bike, build a bridge out of tea-chests, watch a rugby match or go paint balling. However, none of these will engage a group of men and women combining any level of sporting skills, any weight or fitness [within reason], or without sailing experience in an activity they can share as a team and work together to beat the opposition. 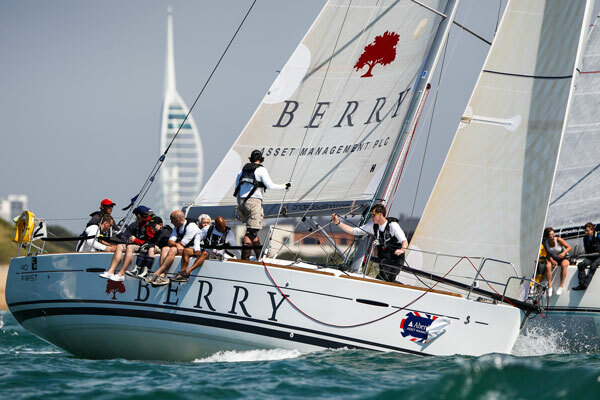 In a good breeze they'll be charging around the Solent or open sea on a state-of-the-art race-tuned sailboat and afterwards, typically, enjoying post-sailing social activities in the same pubs, clubs and restaurants used by the UK's most famous and talented sailing sportspeople.